November 6th: Jesse Rivers preaches and advocates for the children at Iglesia Nueva Creación for Mission Sunday. November 9th: Jesse Rivers meets with the head pastors of ELIM church to consider a relationship or partnership with Abogar. November 13th: Jesse Rivers preaches and advocates for the children at New Trail Fellowship in Abilene, KS. November 14th: Follow up and fundraising dinner with Abogar's 2016 Xposure Xperience participants, Sandy, Michelle and Kimberly Nichols. November 15th: Radio interview with station manager, Mark Hinca, at radio station KJIL in Abilene, KS to share Jesse's testimony, children's needs and the work of Abogar. November 18th: Live radio spanish broadcast on Radio Fuego (station 850 AM) in Chicago, IL to advocate for the children and raise funds for Abogar. November 18th: Abogar representative shares about the work of Abogar and fundraises in Houston, TX. November 19th: Jesse Rivers visits Full Gospel Church of Love at their 6am Saturday morning service to share his testimony, the work of Abogar and fundraise. November 19th: Jesse Rivers visits Area de Apoyo Caleb (ELIM Chicago) to share his testimony, the needs of the children and raise funds and friends. November 20th: Jesse Rivers attends ELIM Chicago service and meets with Pastor Oscar. November 20th: Jesse Rivers is invited again to Full Gospel Church of Love to share his testimony with the entire congregation and fundraise. November 26th: Abogar representatives host a Dessert & Game Fundraiser in Morning Hour Chapel in East Berlin, PA to raise year-end funds. November 27th: Jesse preaches at Pathway Community Church about the importance of Sabbath and Rest. Jesse meets with pastor of Renewal City Church, Spring TX to share about the work of Abogar. Jesse Rivers joins group of volunteers to bring a Christmas blessing to children at an orphanage in Mexico. Abogar representatives to advocate for the children at Renewal City Church in Spring, TX. Abogar Guatemala board meeting and gift exchange. Abogar Guatemala presents Christmas Blessing of donations, gifts and love from Guatemalan donors to children in the refugee village of San Ramon, Guatemala. Abogar 2017 Board Retreat in San Diego, CA. The month of November flew by, and I have done some flying as well! November/December is the time of year for focused fundraising, to reach our annual budget and to raise interest and advocates for the children. To be faithful to God's call for me to lead Abogar, it is important that I continue connecting with churches and people throughout the United States and Latin America; to raise up workers and supporters to help Abogar move forward in reaching the precious children. My travels in November have taken me to four different states, and each one has been a blessing to be in. Praise God! From sharing live (in Spanish!) on a Christian radio station in Chicago, being in two other radio stations, doing a live recording of my testimony and about Abogar, to preaching & sharing in Kansas, Pennsylvania, Florida, and Chicago, to a dessert night fundraiser, to reaching out to and fostering new connections to become involved in the work and lives of the precious children of Latin America... November was full of great connections and opportunities to advocate for the children. God also filled my time with great surprises and blessings all along the way. While I have been traveling, I have also been communicating with and working with people on the ground in Guatemala to keep Abogar Guatemala moving forward. 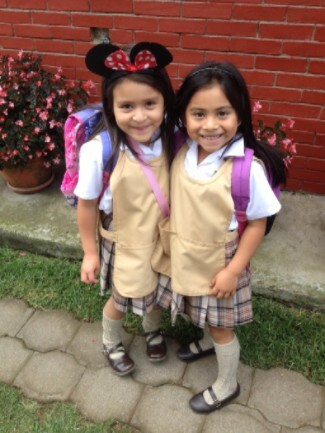 We are very happy to have an upcoming trip on December 18th, due to some generous donations from some Guatemalans! We will visit a refugee village and bless 100 children with gifts, food, pinatas, and our time and love! It will be no less than 3 hours driving to reach the village, and at least three hours return trip, with 3-5 hours on the ground with the children and villagers. I would ask your prayers for us as we go to be a Christmas Blessing! As Christmas is approaching I'd like to encourage us to really keep Christ in Christmas this year. Let us rejoice and celebrate the coming of a King, the King of kings and Lord of lords. May this Christmas be a time of joyful celebration and adoration of Jesus Christ, the babe in the manger, who came to be with us, to love us, and to save us! And may we go out and be like Jesus Christ... being with the children, loving them, and rescuing and bringing the hope, love, and life that Jesus Christ means for them to know! Merry Christmas to you and all your loved ones, from my heart to yours! 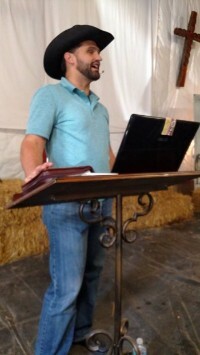 Jesse Rivers preaching and sharing about Abogar at New Trail Fellowship, "the Cowboy Church," in Abilene, KS. A big thanks to New Trail Fellowship and their congregation for their generosity and hospitality! 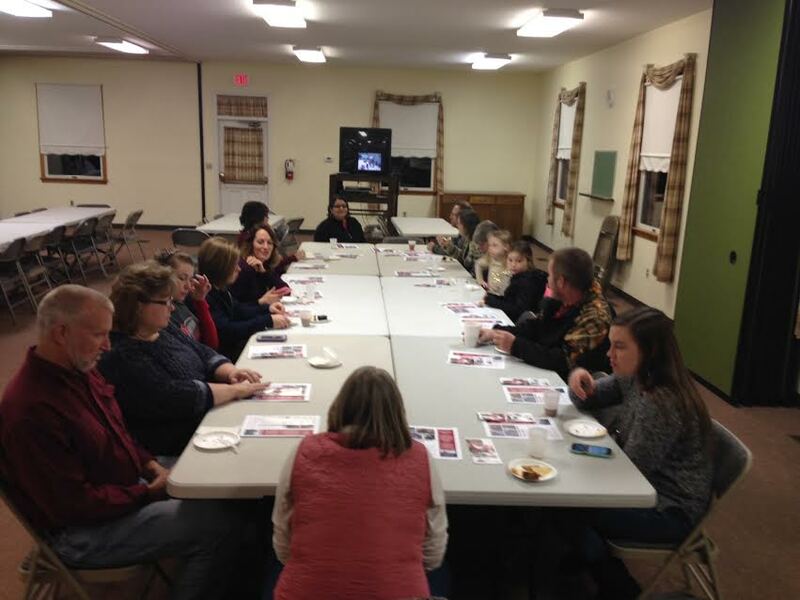 Sweet night of fellowship at the Dessert & Games Fundraising Night at Morning Hour Chapel in East Berlin, PA. 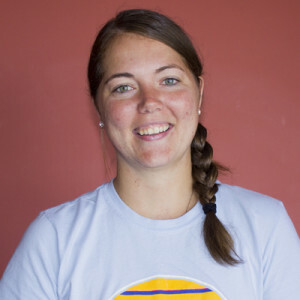 Please welcome Abogar's newest staff member, Shaila Emig! Shaila is stepping in as our new Executive Assistant, taking the place of Karen Wilson who is passing on the position at the end of this year. We are excited to see how Shaila's gifts and experience will contribute to Abogar and have an impact on the lives of children in Latin America! And a big thank you to Karen for her commitment and hard work for the advancement of Abogar. 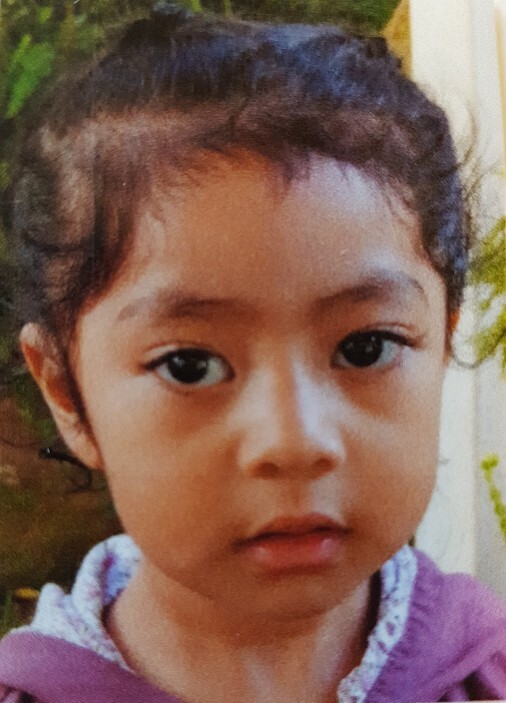 Juanita lives in a house with her mother and other family members. Her mother has several children with different fathers. Juanita's mother professes faith in Christ and attends church, but is also a very hard and demanding woman. Juanita's relationship with God to take root and grow, and that God would reveal Himself to her as gentle and kind. For Juanita's mother to be surrendered to the Lord and be molded and shaped in a way that enables her to reflect His love to her children in ways that direct them to Christ. For Juanita's education and that she would grow in her God-given gifts and skills.